Educational meetings, events, resources and support are at the core of the AAE’s offerings for members and the broader dental community. Use the information below as a guide as you explore the AAE’s many educational programs featured in this section of the website. Make your mark on the specialty. 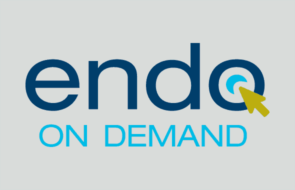 Subscribers to Endo On Demand benefit from unlimited access to AAE’s complete library of endodontic education presentations and materials as well as the ability to earn CE credit online. Educational resources and support are at the core of the AAE's offerings for members and the broader dental community. Enter this rewarding field and create impact for the specialty. A valuable resource for dental organizations and schools in developing continuing education meetings. Answers to popular questions about continuing education credits. Convenient access to a robust library of high-quality endodontic content. View the full AAE event calendar. Use the information below as a guide as you explore the AAE’s many educational programs featured in this section of the website. Provides endodontic educators with continuing education opportunities. Endodontic faculty list, Postdoctoral Application Support Service and more. Resources to help set your educator career path in motion. Tools to enhance your curriculum. Recognizing educators for their contribution to the specialty. This CE activity benefits each educational program and the entire endodontic community. AAE Members get reduced rates to all AAE continuing education meetings. Not a member? Find the membership category that best suits your current career status.